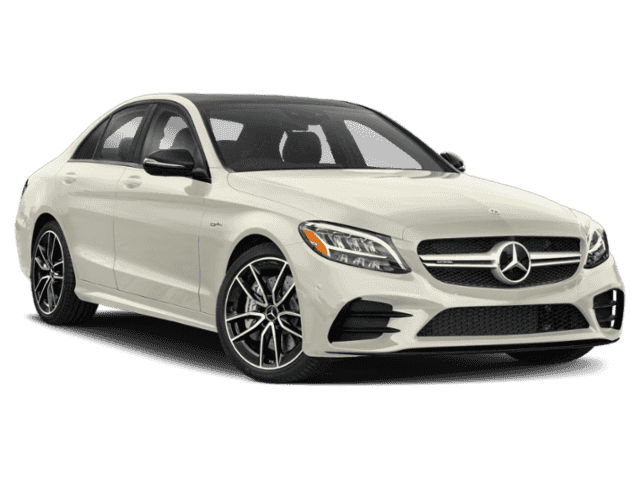 You can find this 2019 Mercedes-Benz C-Class AMG® C 43 and many others like it at Mercedes-Benz of Ontario. This Mercedes-Benz includes: WHEELS: 19 AMG® TWIN 5-SPOKE W/BLACK ACCENTSTires - Front All-Season Tires - Front Performance Aluminum Wheels Tires - Rear Performance Tires - Rear All-Season AMG® NIGHT PACKAGEBURMESTER SURROUND SOUND SYSTEMPremium Sound System PANORAMA ROOFPanoramic Roof Generic Sun/Moonroof Sun/Moonroof Dual Moonroof AMG® PERFORMANCE EXHAUST SYSTEMNATURAL GRAIN GREY OAK TRIMWoodgrain Interior Trim POWER HEATED FRONT SEATS W/MEMORY (STD)Heated Front Seat(s) Bucket Seats MULTIMEDIA PACKAGENavigation System Hard Disk Drive Media Storage MP3 Player *Note - For third party subscriptions or services, please contact the dealer for more information. * Pull up in the vehicle and the valet will want to parked on the front row. This Mercedes-Benz C-Class is the vehicle others dream to own. Don't miss your chance to make it your new ride. Comfort. Performance. Safety. Enjoy all three with this well-appointed AWD 2019 Mercedes-Benz. Put away your phone and focus on the road, your new vehicle has navigation. 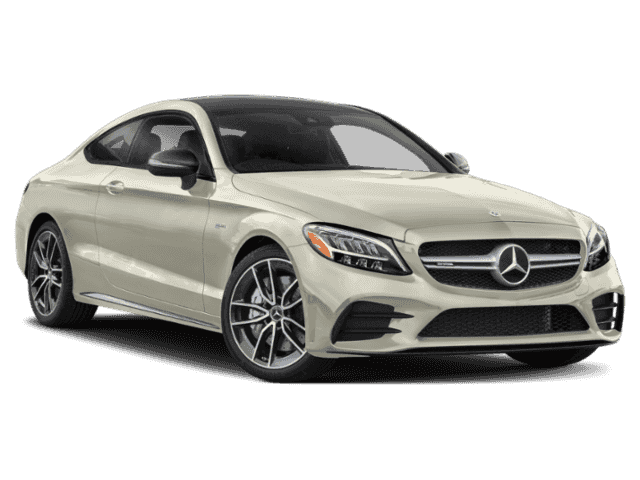 This outstanding example of a 2019 Mercedes-Benz C-Class AMG® C 43 is offered by Mercedes-Benz of Ontario. This Mercedes-Benz includes: INDUCTIVE WIRELESS CHARGINGPOWER HEATED FRONT SEATS W/MEMORY (STD)Heated Front Seat(s) Bucket Seats WHEEL LOCKS (PIO)Wheel Locks AMG® PERFORMANCE EXHAUST SYSTEMAMG® PERFORMANCE STUDIO PACKAGETires - Front All-Season Tires - Front Performance Tires - Rear Performance Tires - Rear All-Season BLIND SPOT ASSISTBlind Spot Monitor 12.3 DIGITAL INSTRUMENT CLUSTERAMG® CARBON FIBER TRIM*Note - For third party subscriptions or services, please contact the dealer for more information. * Pull up in the vehicle and the valet will want to parked on the front row. This Mercedes-Benz C-Class is the vehicle others dream to own. Don't miss your chance to make it your new ride. Comfort. Performance. Safety. Enjoy all three with this well-appointed AWD 2019 Mercedes-Benz. Just what you've been looking for. With quality in mind, this vehicle is the perfect addition to take home. This 2019 Mercedes-Benz C-Class AMG® C 43 is proudly offered by Mercedes-Benz of Ontario This Mercedes-Benz includes: WHEELS: 19 AMG® TWIN 5-SPOKE W/BLACK ACCENTSTires - Front All-Season Tires - Front Performance Aluminum Wheels Tires - Rear Performance Tires - Rear All-Season EXTENDED RESTART IN STOPAMG® NIGHT PACKAGEBURMESTER SURROUND SOUND SYSTEMPremium Sound System PANORAMA ROOFPanoramic Roof Generic Sun/Moonroof Sun/Moonroof Dual Moonroof HEATED & VENTILATED FRONT SEATSCooled Front Seat(s) Heated Front Seat(s) NATURAL GRAIN BLACK ASH WOOD TRIMWoodgrain Interior Trim PARKING ASSISTANCE PACKAGEAutomatic Parking Rear Parking Aid Back-Up Camera EXTERIOR LIGHTING PACKAGEDaytime Running Lights MULTIMEDIA PACKAGENavigation System Hard Disk Drive Media Storage MP3 Player BRUSHED ALUMINUM DOOR TRIMWoodgrain Interior Trim *Note - For third party subscriptions or services, please contact the dealer for more information. * Today's luxury vehicle is not just about opulence. It's about a perfect balance of performance, comfort and attention to detail. This 2019 Mercedes-Benz C-Class is the perfect example of the modern luxury. This Mercedes-Benz C-Class is equipped with AWD for improved handling. Whether you're faced with inclement weather or just out enjoying the twisting back road, you'll have the grip of AWD on your side. Where do you need to go today? Just punch it into the Mercedes-Benz C-Class on-board navigation system and hit the road. 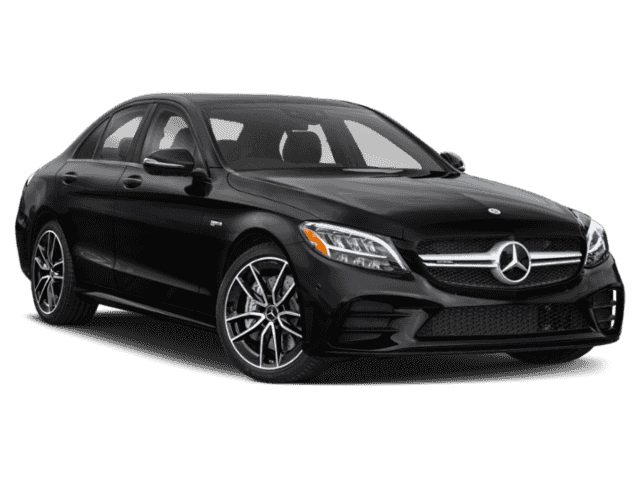 Contact Mercedes-Benz of Ontario today for information on dozens of vehicles like this 2019 Mercedes-Benz C-Class AMG® C 43. This Mercedes-Benz includes: WHEELS: 19 AMG® TWIN 5-SPOKE W/BLACK ACCENTSTires - Front All-Season Tires - Front Performance Aluminum Wheels Tires - Rear Performance Tires - Rear All-Season EXTENDED RESTART IN STOPAMG® NIGHT PACKAGEDRIVER ASSISTANCE PACKAGELane Departure Warning Lane Keeping Assist Adaptive Cruise Control Cruise Control PANORAMA ROOFPanoramic Roof Generic Sun/Moonroof Sun/Moonroof Dual Moonroof HEATED & VENTILATED FRONT SEATSCooled Front Seat(s) Heated Front Seat(s) NATURAL GRAIN BLACK ASH WOOD TRIMWoodgrain Interior Trim BLACK SEAT BELTSPARKING ASSISTANCE PACKAGEAutomatic Parking Rear Parking Aid Back-Up Camera EXTERIOR LIGHTING PACKAGEDaytime Running Lights MULTIMEDIA PACKAGENavigation System Hard Disk Drive Media Storage MP3 Player *Note - For third party subscriptions or services, please contact the dealer for more information. * Today's luxury vehicle is not just about opulence. It's about a perfect balance of performance, comfort and attention to detail. This 2019 Mercedes-Benz C-Class is the perfect example of the modern luxury. All-wheel drive means peace of mind all the time. This Designo Cardinal Red AWD Mercedes-Benz enjoys a host offeatures, including exceptional acceleration and superior stability so you can drive with confidence.Enjoy the drive without worrying about directions thanks to the built-in navigation system. Contact Mercedes-Benz of Ontario today for information on dozens of vehicles like this 2019 Mercedes-Benz C-Class AMG® C 43. This Mercedes-Benz includes: EXTENDED RESTART IN STOPAMG® NIGHT PACKAGEDRIVER ASSISTANCE PACKAGELane Departure Warning Lane Keeping Assist Adaptive Cruise Control Cruise Control PANORAMA ROOFPanoramic Roof Generic Sun/Moonroof Sun/Moonroof Dual Moonroof AMG® PERFORMANCE EXHAUST SYSTEMHEATED & VENTILATED FRONT SEATSCooled Front Seat(s) Heated Front Seat(s) BLACK SEAT BELTSPARKING ASSISTANCE PACKAGEAutomatic Parking Rear Parking Aid Back-Up Camera EXTERIOR LIGHTING PACKAGEDaytime Running Lights MULTIMEDIA PACKAGENavigation System Hard Disk Drive Media Storage MP3 Player *Note - For third party subscriptions or services, please contact the dealer for more information. * There's a level of quality and refinement in this Mercedes-Benz C-Class that you won't find in your average vehicle. This Mercedes-Benz C-Class AMG® C 43 comes equipped with all wheel drive, which means no limitations as to how or where you can drive. Different terrains and varying weather conditions will have little effect as to how this vehicle performs.Where do you need to go today? Just punch it into the Mercedes-Benz C-Class on-board navigation system and hit the road. 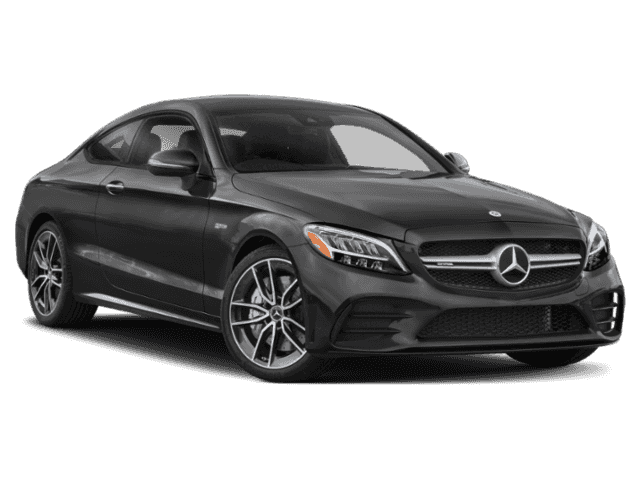 This outstanding example of a 2019 Mercedes-Benz C-Class AMG® C 43 is offered by Mercedes-Benz of Ontario. 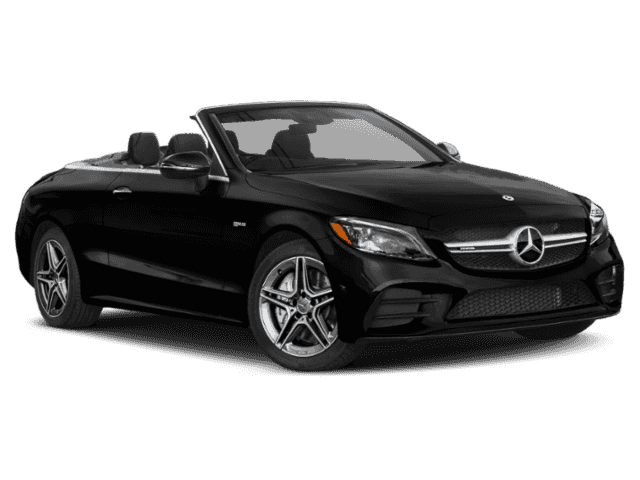 This Mercedes-Benz includes: 12.3 DIGITAL INSTRUMENT CLUSTERTELEPHONE PRE-WIRING/PORTABLE PHONECross-Traffic Alert HEATED FRONT SEATS (STD)Heated Front Seat(s) Bucket Seats AMG® PERFORMANCE EXHAUSTAMG® NIGHT PACKAGERED SOFT TOPConvertible Soft Top WHEELS: 19 AMG® TWIN 5-SPOKE W/BLACK ACCENTSTires - Front All-Season Tires - Front Performance Aluminum Wheels Tires - Rear Performance Tires - Rear All-Season *Note - For third party subscriptions or services, please contact the dealer for more information. * Let a little sunshine in. Just drop the top of this Mercedes-Benz C-Class convertible and go. You appreciate the finer things in life, the vehicle you drive should not be the exception. Style, performance, sophistication is in a class of its own with this stunning Mercedes-Benz C-Class.Enjoy driving? Well now you will get more thrills behind the wheel thanks to the heightened performance of AWD. Better handling. Better traction. Better driving experience. This outstanding example of a 2019 Mercedes-Benz C-Class AMG® C 43 is offered by Mercedes-Benz of Ontario. This Mercedes-Benz includes: DRIVER ASSISTANCE PACKAGELane Departure Warning Lane Keeping Assist Adaptive Cruise Control Cruise Control MULTIMEDIA PACKAGENavigation System Hard Disk Drive Media Storage MP3 Player POWER HEATED FRONT SEATS W/MEMORY (STD)Heated Front Seat(s) Bucket Seats PARKING ASSISTANCE PACKAGEAutomatic Parking Back-Up Camera AMG® PERFORMANCE SEATSPower Passenger Seat Power Driver Seat Bucket Seats AMG® NIGHT PACKAGEAMG® PERFORMANCE STEERING WHEEL W/NAPPA INSERTSWHEELS: 19 MULTISPOKETires - Front All-Season Tires - Front Performance Aluminum Wheels Tires - Rear Performance Tires - Rear All-Season AMG® CARBON FIBER TRIM*Note - For third party subscriptions or services, please contact the dealer for more information. * You appreciate the finer things in life, the vehicle you drive should not be the exception. Style, performance, sophistication is in a class of its own with this stunning Mercedes-Benz C-Class. This Mercedes-Benz C-Class features AWD. That means power and control delivered to all four wheels for maximum grip and improved handling. Enjoy the drive without worrying about directions thanks to the built-in navigation system. According to Car and Driver, the AMG® C 43 has “genuine performance credibility.” Schedule a test drive near Fontana and Chino to experience it in person! Like Mercedes-Benz, AMG® is owned by Daimler AG. 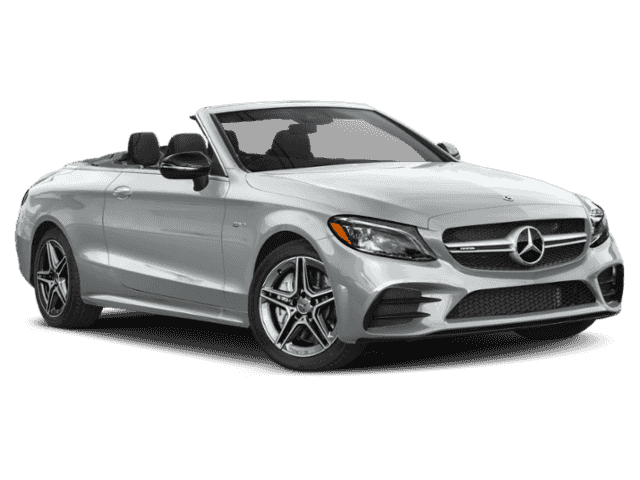 It’s a high-performance division of Mercedes-Benz, and creates powerful, racing-inspired vehicles fused with the luxury of the Three-Pointed Star. The AMG® C 43 is one in a long line. You’ll enjoy all the comfort of the C-Class with a little extra pep, courtesy of hundreds of AMG® parts and systems. Ready to move the buying or leasing process along? San Bernardino drivers can get pre-approved online today!